FMPA was created in 1978. FMPA is a nonprofit, wholesale power agency owned by 32 municipal electric utilities in Florida. FMPA provides economies of scale in power generation and related services to support community-owned electric utilities. 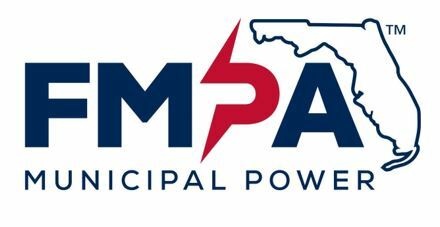 FMPA is a public agency, based in Orlando, Fla., whose primary purpose is to supply power to municipals throughout the state of Florida and provide other related services. FMPA owns power plants and supplies electricity at wholesale to city-owned electricity companies, which in turn sell electricity at retail to individual customers. Qualified candidate will have extensive experience in managing generation, transmission and system operations and planning and engineering. The COO will ensure optimizing FMPA’s operating assets along with its resource portfolio. They will manage a staff of 17 currently organized under four direct reports. He or she will have contract management responsibilities for the 70 personnel operating the power plants. The total budget under the COO’s direction, including plant operations and energy is in the $150 - $175 million range. It is essential that the COO work with members in a collaborative manner. The COO will represent FMPA and its members at the regional, state and federal level with regulators, legislatures and administrations. Interpersonal skills should include demonstrated credibility and integrity interacting with staff, customer members and political bodies. Proven leadership accomplishments must incorporate being a team builder and coach. Strong planning and negotiations successes are essential. Ideal candidate will have extensive experience in bulk power supply at an executive level. Ten plus years of experience in the public power, cooperative or for-profit sectors is a must. Candidate must be able to make the leap to public power with proven success serving municipal customers demonstrating knowledge of public power issues. Mycoff, Fry & Prouse, LLC.